The Head of the CEC of the Qurultay of the Crimean Tatar people Zair Smedlya said that he had received threats. In particular, he said, he was threatened after he informed public about the incident with the unknown firing gunshots on the house of the Crimean Tatar family in the village of Kurskoye in the Crimea. "Another threat was addressed to me, so I do not think that the night crime was an accident," he wrote on his Facebook page. 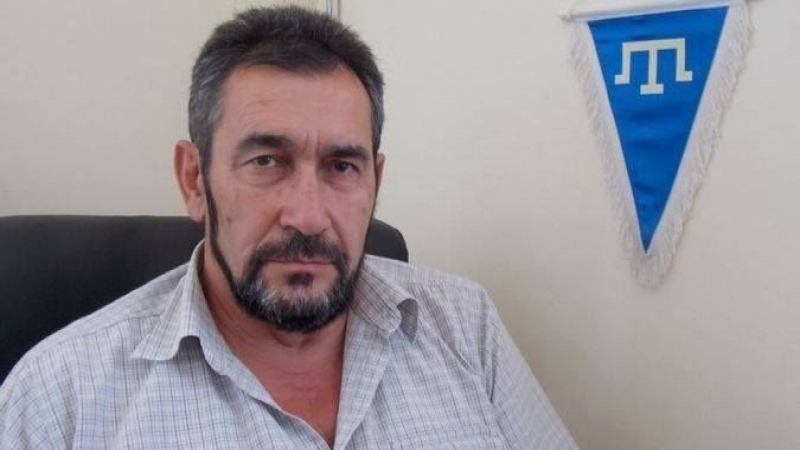 Previously, November 16, at midnight, in the occupied Crimea, in the village of Kurskoye the unknown persons fired gunshots at the house of Crimean Tatar activist Dzhafer Ametov. Zair Smedlya was the first to post photos and video footage of Ametov's house in the network. Earlier QHA reported that the occupation authorities in the Crimea are intensifying the persecution of the Crimean Tatars in order to "suppress dissent" on the peninsula. Human Rights Watch, in its statement, stressed that since the occupation, Moscow has subjected the indigenous population, as well as journalists, bloggers and activists, to harassment, intimidation, threats, intrusive and unlawful house searches, physical assaults and kidnappings.